Surround by new townhouses, The Inn at 97 Winder maintains a link to the past while being a symbol of the rise of South Brush Park. 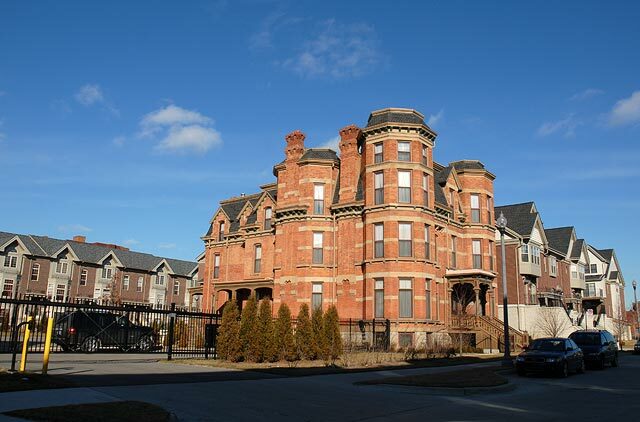 Built in 1876, the John Harvey home was one of many Victorian era mansions that graced the upscale Brush Park neighborhood, then on the outskirts of the city of Detroit. See the Harvey House in 1997 when it was an abandoned ruin. 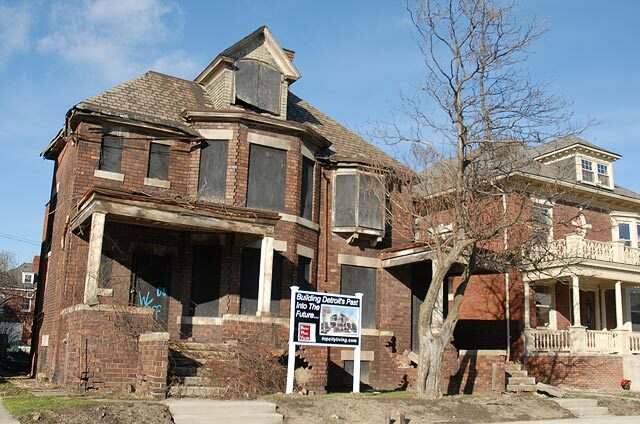 At the turn of the 21st Century, spurred the the redevelopment of downtown and the construction of the new Detroit Tigers baseball park to the south, a rapid redevelopment of south Brush Park, led by Crosswinds Development, filled a hidden demand for livable downtown residences. 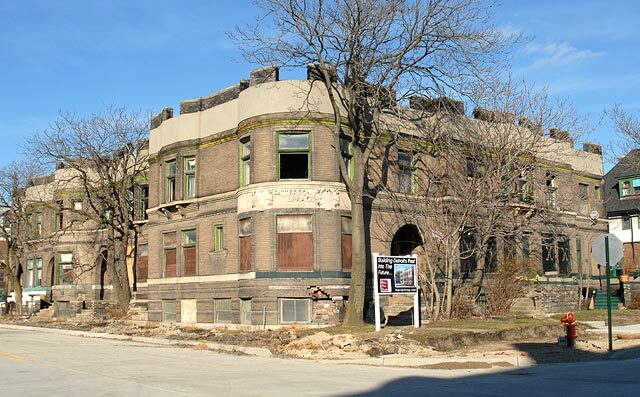 That success is now fueling the redevelopment of the north Brush Park where several ruined residences offer exciting opportunities. 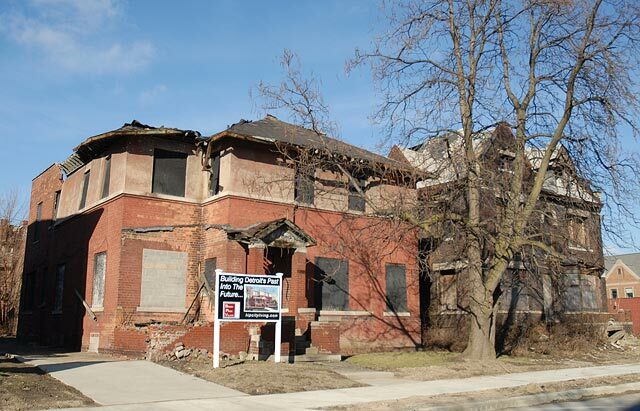 Several properties along Erskine in North Brush Park are be planned for redevelopment by the company Hip City Living whose signs now appear along the street.